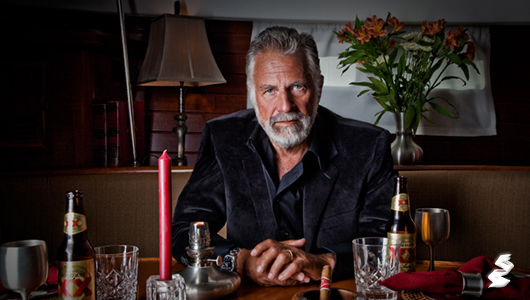 Jonathan Goldsmith is the most interesting man in the world for Dos Equis. Dos Equis decided they needed a new rebranding makeover for their famous beer line. They wanted someone that was like a James Bond type, but with better one-liners. Such as, “He’s been known to cure narcolepsy, just by walking into a room,” “He once had an awkward moment, just to see how it feels,” and “His beard alone has experienced more than a lesser man’s entire body.” Just to name a few, the guy just glows of major cooler factor, always around hot women, in a suit with a bread and in a nightclub no less. The major upside for using Goldsmith as a spokesman really seemed to pay off for Dos Equis team since 2006, the television commercials maintain massive momentum for Dos Equis, which gained 15.4% in U.S. shipments in 2011, vs. 2.7% average growth for the top 10 imports, according to Beer Marketer’s Insights. With Paul Smailes at the helm for Dos Equis, their team discovered that “more than anything else, [drinkers] really wanted to be seen as interesting by their friends,” said Smailes. Goldsmith is so badass that just his presence alone seems to lighten the room even when it’s so dark in the commercials, not bad for being 73 and still having a great smile with wrinkles. I’ll take it, stay thirty, my friends!